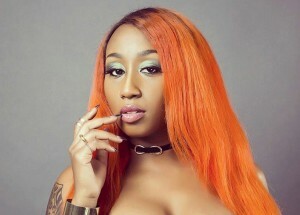 Chocolate City star Victoria Kimani is upset with how female entertainers are treated in the male dominated industry, and she says that female artistes should not be called prostitutes because they wear revealing attire. The Show artiste says it’s high time that society learns to respect female entertainers who, according to her, have suffered prejudice, discrimination and sexual abuse from men. “People need to start respecting female entertainers, presenters, actors, artists, models, dancers, business women, PR, managers, PAs, singers, stylists, DJs, designers…and generally all positions in the entertainment field in Africa,” she wrote on social media on January 13. According to the feted singer, women in showbiz tackle numerous challenges on account of their gender. “The amount of negativity, rumors, gossip, assumptions, judgment, hypocrisy, threats and overall evil eye that is pointed towards these particular women is out of this world! No! Just because I’m a female doesn’t mean I work for free! No! Just because I’m a business woman with standards doesn’t make me a [expletive],” added Ms Kimani. The Nigerian-based musician says female entertainers often suffer sexual objectification due to the outfits they wear on stage. The curvaceous singer also called out those who are praying for her downfall. “There are too many people praying for me … For me to fall into the hands of the enemy so freely and easily…. I work [expletive] hard … I have been working on, dreaming about, planning for, building towards, sweating , crying, praying , waiting for, lost friends , faced loneliness, looked stupid, hated on, sabotaged , made mistakes , been under-rated and still raise up and be the baddest …” firmly stated the pop singer. The singer ended her post by urging her fans to accord her the respect she deserves. #MyAreaVibe|AKA, Singer shares sweet photo of daughter, Kairo!